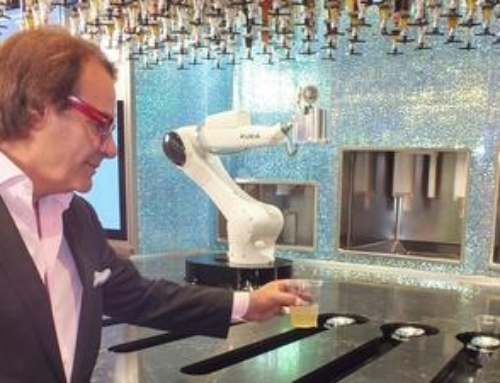 Droids are allowed at a new bar coming to the Strip this summer, built around a novelty innovation so perfect for Las Vegas, resort managers will be kicking themselves they didn’t install it first. 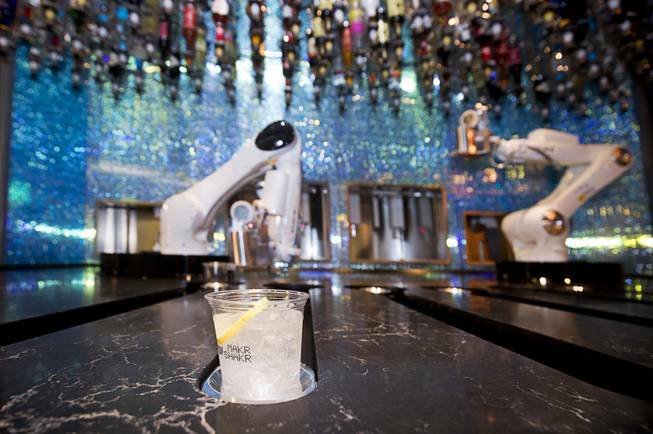 While details are scant, the self-described “first Robotic Bar in the World” is confirmed for the Miracle Mile Shops, steps from the Planet Hollywood Resort. Attached to the project is Rino Armeni, founder and board chairman of the Las Vegas Business Academy and the former operator of Pips Cucina and Wine Bar at the Aliante. 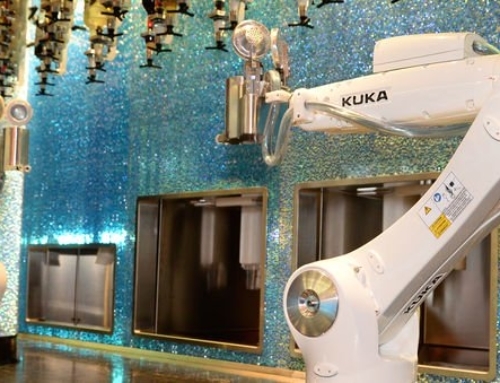 Robotic Innovations shares the same address as the business academy. 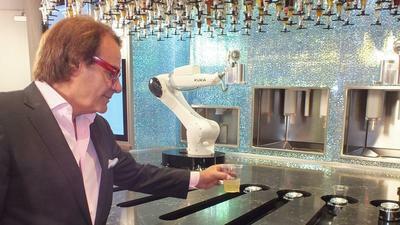 Yet to be revealed, the design, the robot manufacturers and the amount of interaction with their human customers. 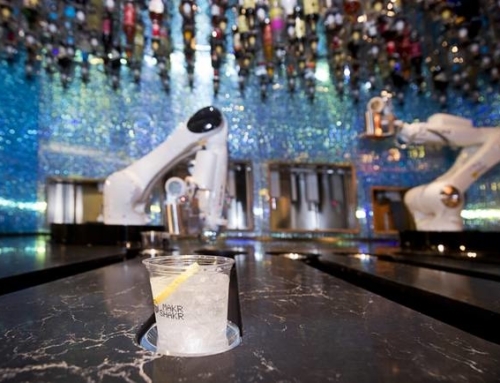 Italian company Makr Shakr already has dibs on the title of “world’s first robotic bar system,” permanently installed aboard the Royal Caribbean’s Harmony of the Seas cruise liner and the benchmark for what can be achieved with automation. 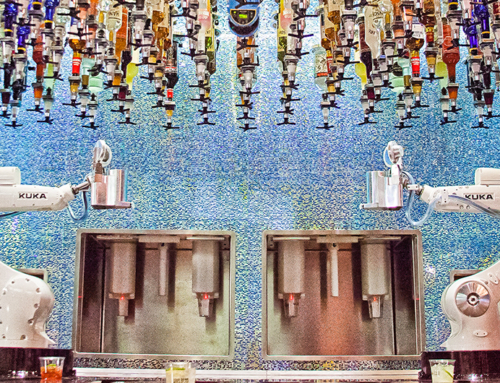 Guests verify their age and order via a tablet, or a phone app. 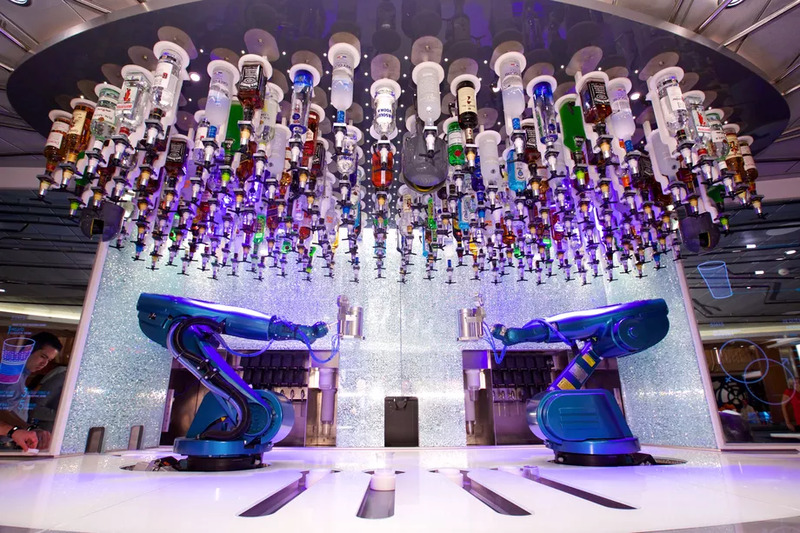 The Bionic Bar is capable of managing 60 different spirits, pouring 120 drinks per hour and concocting thousands of possible combinations. 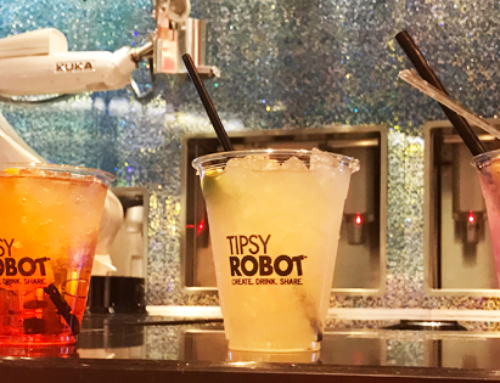 There is no confirmation the offspring of these particular robots, named Mix and Mingle, will be the ones headed to the Strip, but two other non-human assets are already part of the local service industry.